WPD Party in a Box w/GiftWrapHQ! The Victorias over at GiftWrapHQ have seriously outdone themselves…again! After their first mindblowing World Party Day post on party bags, now they’ve teamed up with Kitty Farrow Press to make this beautiful party box! 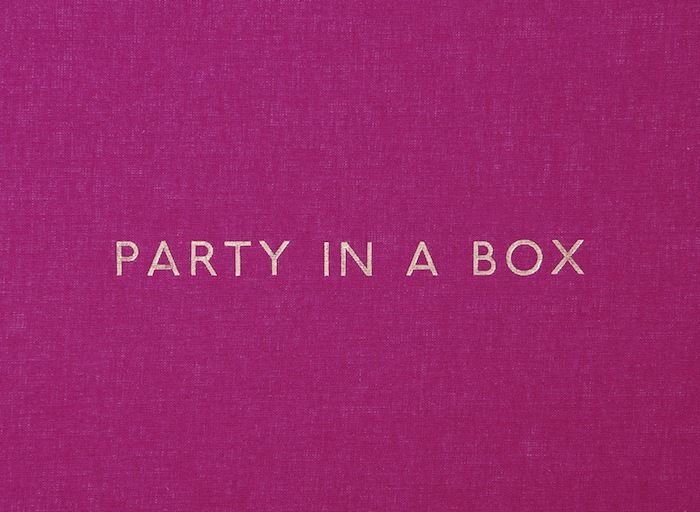 I don’t want to give away what’s actually inside the box….so you’ll have to visit the blog for all the wonderful images of this bright pink explosion of party-dom by Victoria Siddle. This entry was posted on March 28, 2012 at 4:57 am and is filed under ART, BIG NEWS, COLOR, COOL STUFF, DESIGN. You can follow any responses to this entry through the RSS 2.0 feed. « WPD Breakfast Party w/Size Too Small! Jessalyn Aaland artist talk at Swarm Gallery!